Many westerners conflate sushi and sashimi but the preparation and contents of each are quite different. Without offending Koreans, westerners also use the Japanese words to describe these food styles. 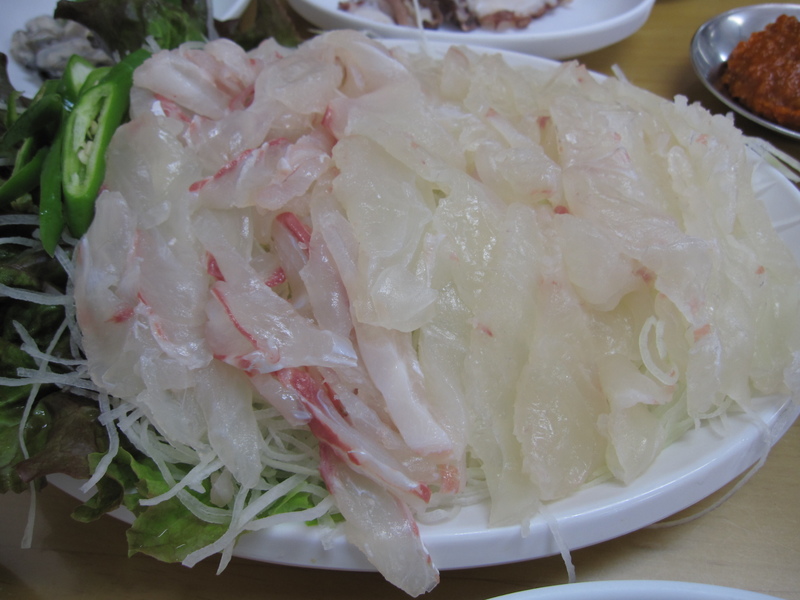 sashimi (회) – is uncooked and always fish and it is eaten with various leaves and sauces, the most common of which is wasabi (와사비), a stark hot, horseradish sauce. Fish, often in quite large amounts, is placed in a leaf after being dipped in a sauce and garnished, for example with sliced, raw garlic. The leaf is then formed into a ball and eaten. 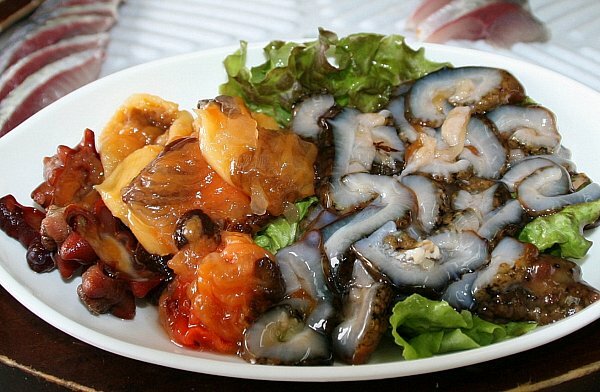 Basically, anything that lives in the sea can appear on a plate of sashimi (회). 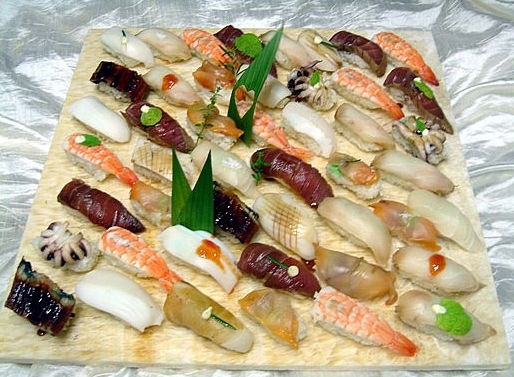 Sushi (초밥) – is vinegared rice formed into bases and topped with fish that is often cooked. Sushi can use non fish toppings such as tofu or lava seaweed.